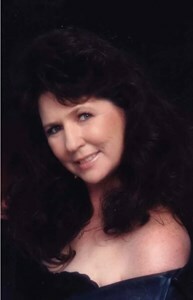 Newcomer Family Obituaries - Tamera J. Orr 1958 - 2018 - Newcomer Cremations, Funerals & Receptions. Tamera J. Orr, age 59 of Riverside, reunited with her husband, Richard on July 19, 2018. She was born September 27, 1958 in Dayton to her mother, Shirley (Dove) Fouch and her late father, Robert Fouch Sr.
She is survived by her mother, Shirley; children, Ronald, Brandy and Dionna; 11 grandchildren; 3 great-grandchildren; sister, Terri and numerous nieces, nephews, extended family and friends. Family will receive friends from 9:30-10:30 AM on Tuesday, July 24, 2018 at Newcomer North Chapel, 4104 Needmore Rd. where a funeral service will begin at 10:30 AM with Rev. Tim Blevins officiating. Interment will follow at Willow View Cemetery. Add your memories to the guest book of Tamera Orr. I am so sad to hear the news of your loss. I'm still in shock as I know you are as well. Another angel got her wings and heaven became a little brighter. May your good memories help you through these hard days. My thoughts and prayers are with you all. I have so memories with Tami, that i will never forget. She has the biggest heart of anyone i know. i will miss her dearly. i love you girl. Rest in peace. There isn’t a child hood memory I have that doesn’t have here in it. She was an amazing aunt who wanted the best for me. She gave me good memories and taught me to be caring and compassionate. She was another mother to me. I love her very much.